Actor and presenter Brian Cant has died, aged 83. If you grew up in the UK over the last 50 years or more it is unlikely that Cant’s voice hasn’t shaped your early childhood. Born in Ipswich in 1933, Cant appeared on stage, film and television in a variety of roles. He was making programmes for schools in 1964 when hired as a Play School presenter, which proved to be his big break. Asking viewers to look through the round window became an iconic ritual. He remained with the children’s TV favourite for more than 20 years and became part of the Play Away team, the Play School spin-off aimed at an older audience. Cant was the narrator of stop-animated series such as Trumpton, Camberwick Green and Chigley, holding conversations with characters like Windy Miller, Chippy Minton and PC McGarry. He famously voiced the Trumpton Fire Brigade roll call of “Pugh, Pugh, Barney McGrew, Cuthbert, Dibble and Grub”. Other shows he worked on included Bric-a-Brac and Milkshake. 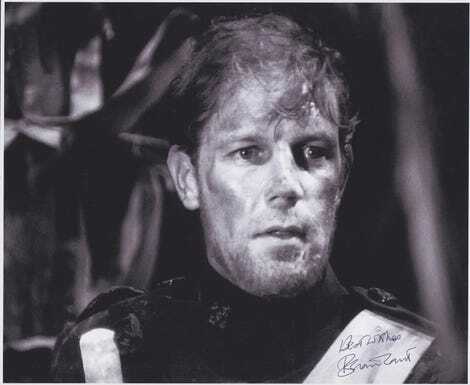 Cant appeared in Doctor Who’s epic 12 part Dalek Master Plan and again a few years later in The Dominators. He also appeared in Casualty and several times in Doctors. He was diagnosed with Parkinson’s in 1999.